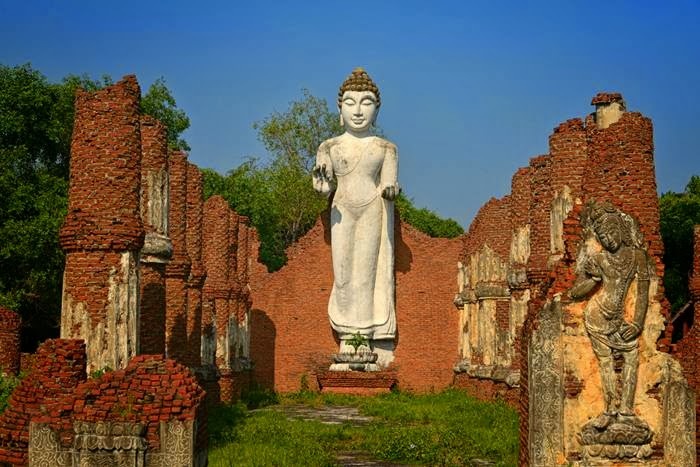 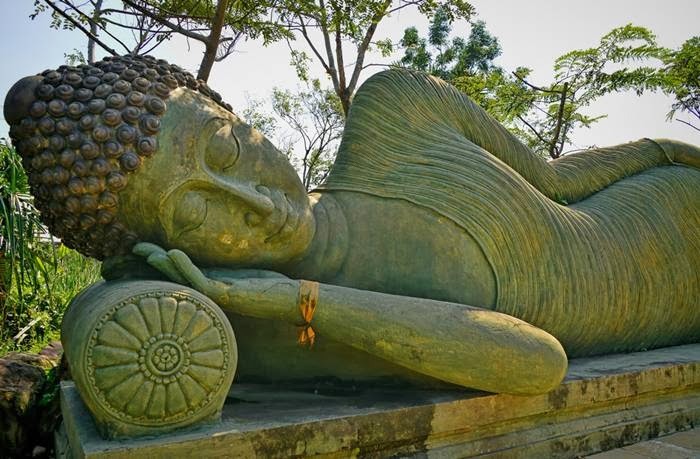 Ancient Siam formerly known as Ancient City — Mueang Boran is a park constructed under the patronage of Lek Viriyaphant and spreading over 200 acres (0.81 km2) in the shape of Thailand. 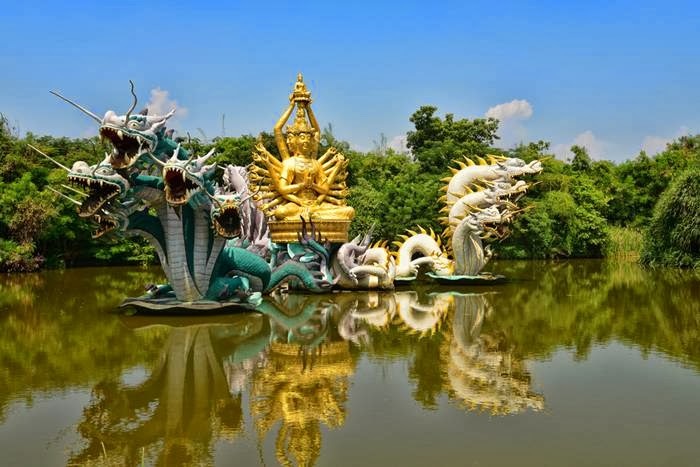 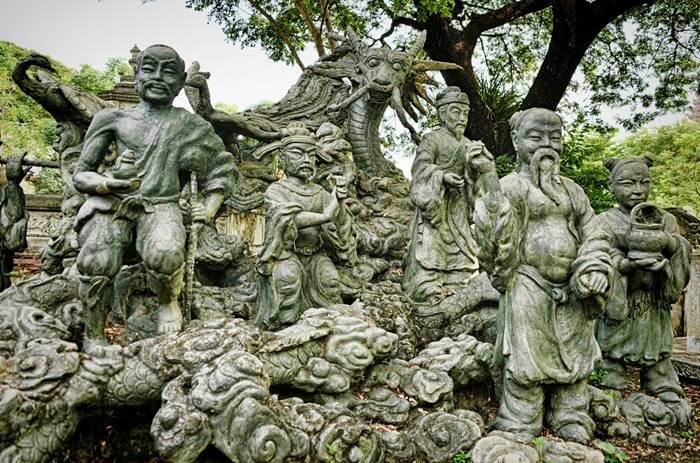 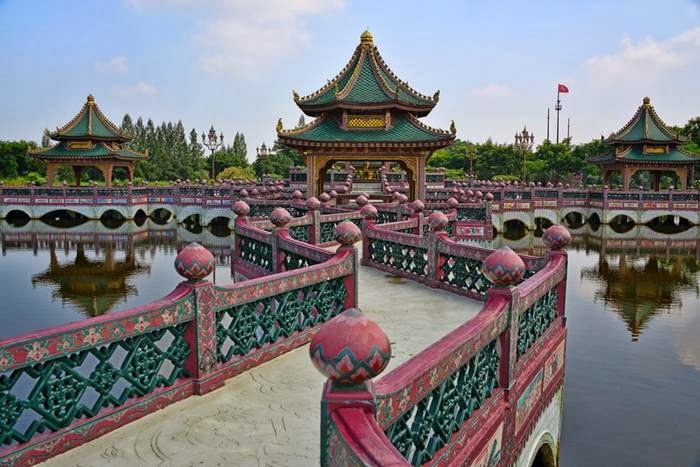 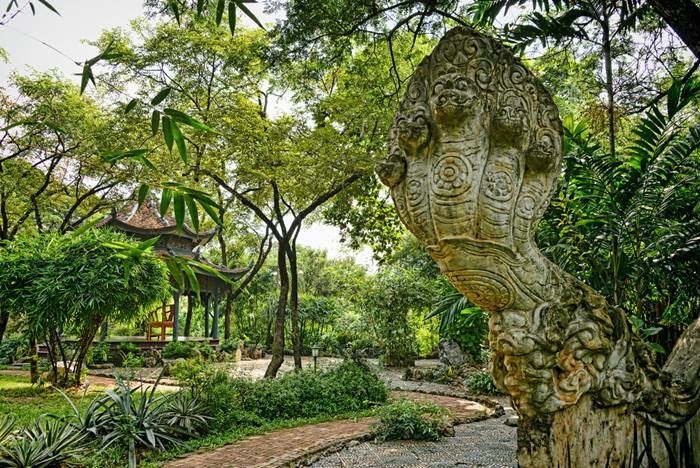 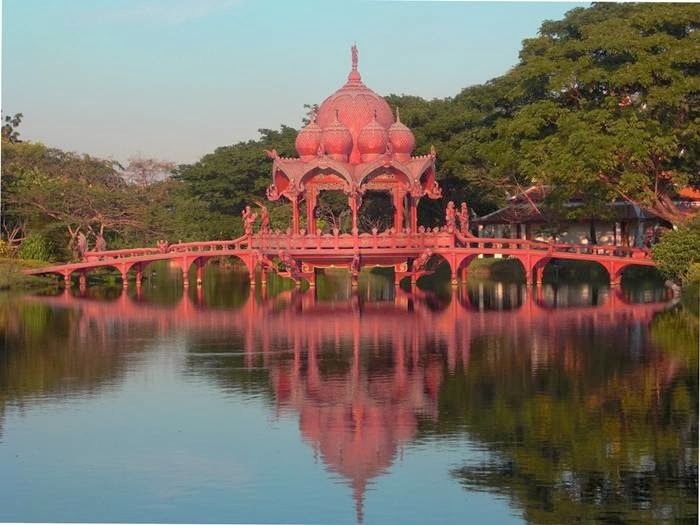 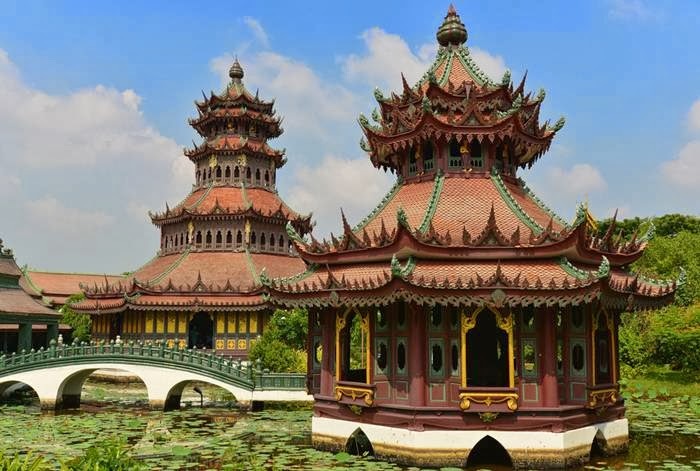 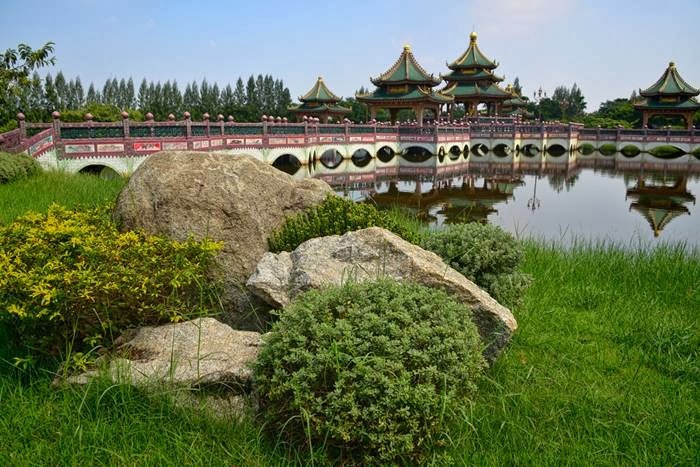 After the post 10 Most unusual Parks in the world Ancient Siam is dubbed as the world's largest outdoor museum. 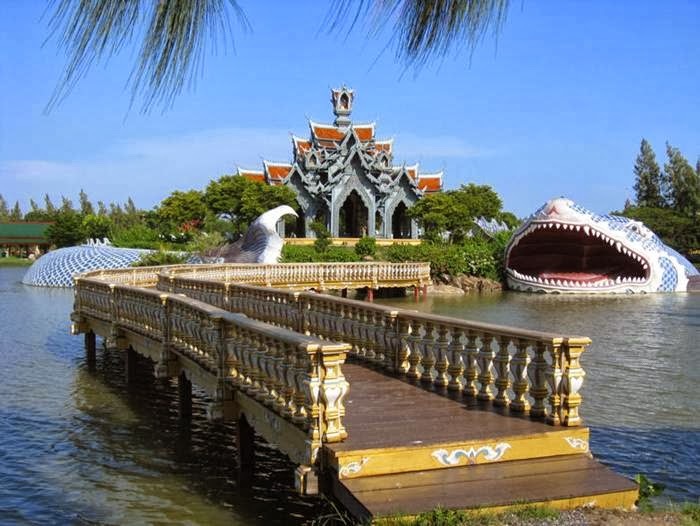 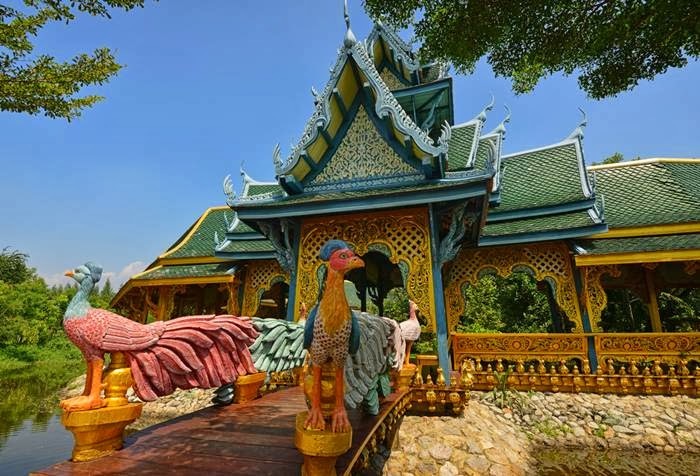 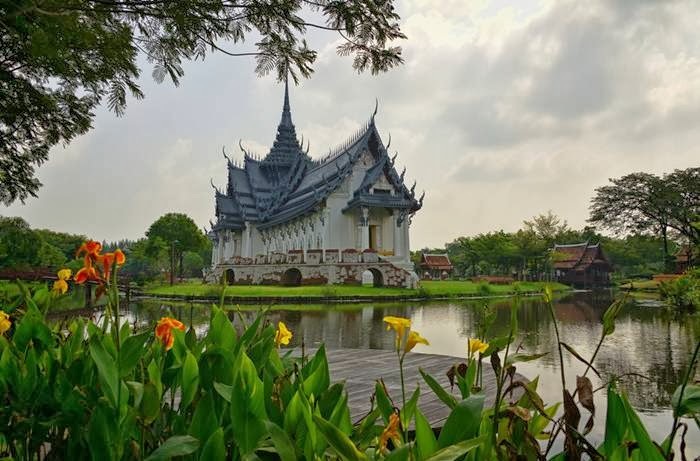 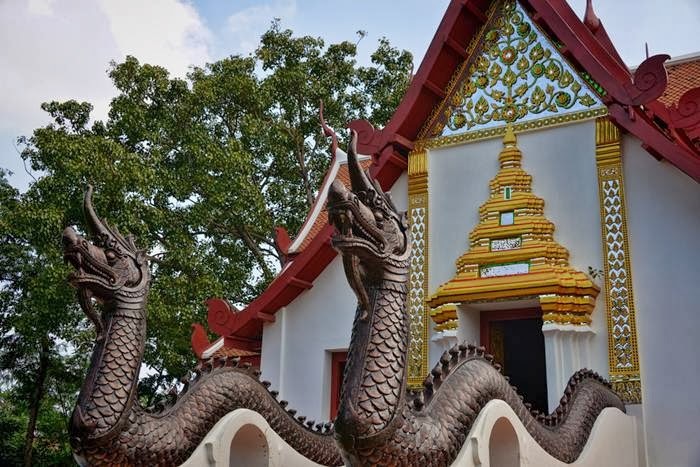 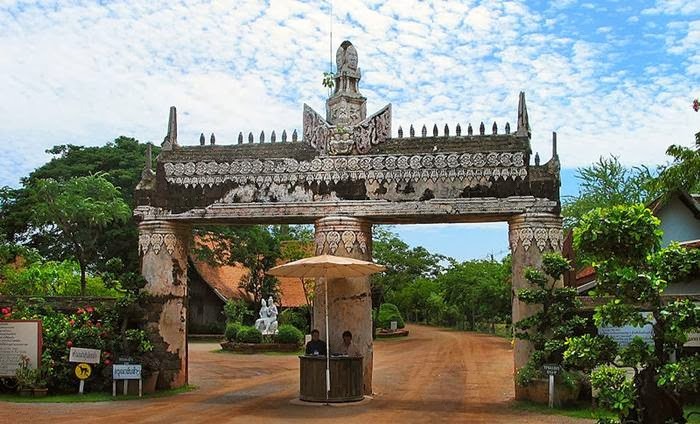 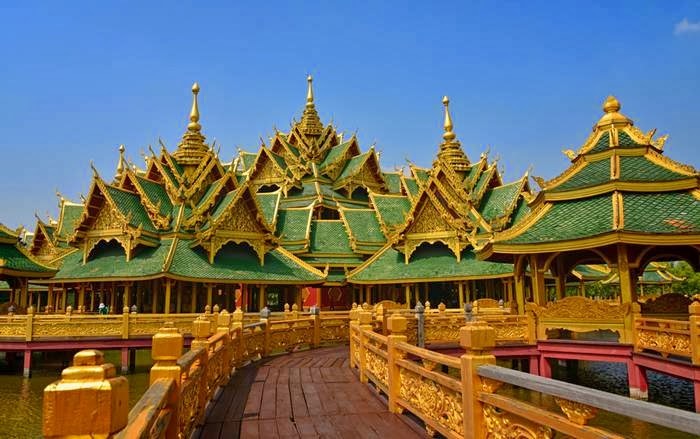 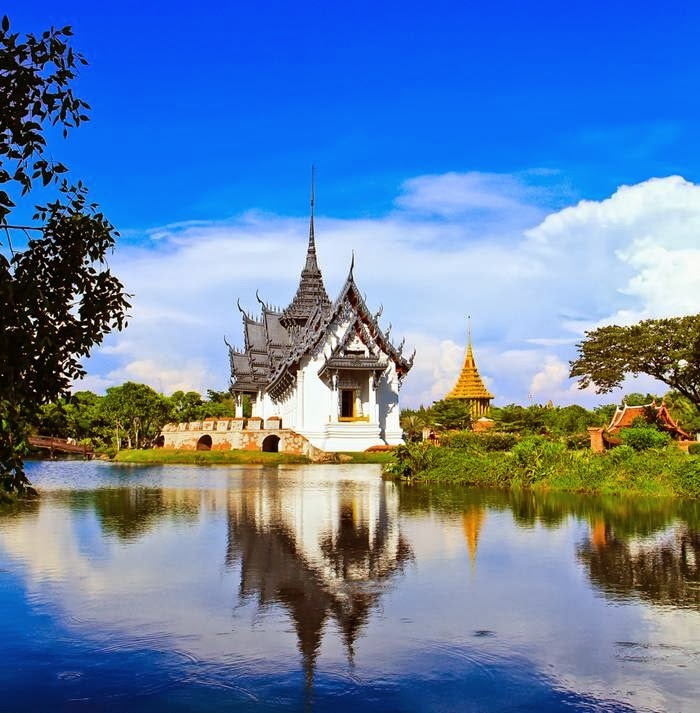 Situated close to the Crocodile Farm in Samut Prakan province, the 320-hectare city features 116 structures of Thailand's famous monuments and architectural attractions. 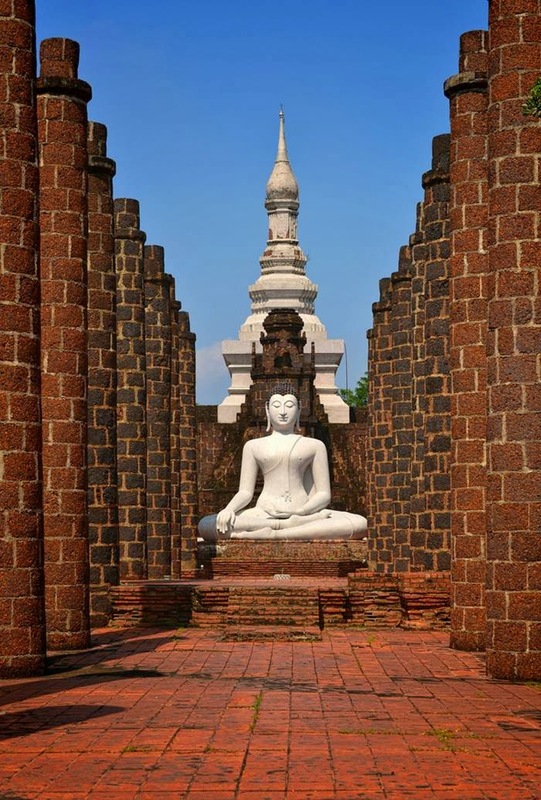 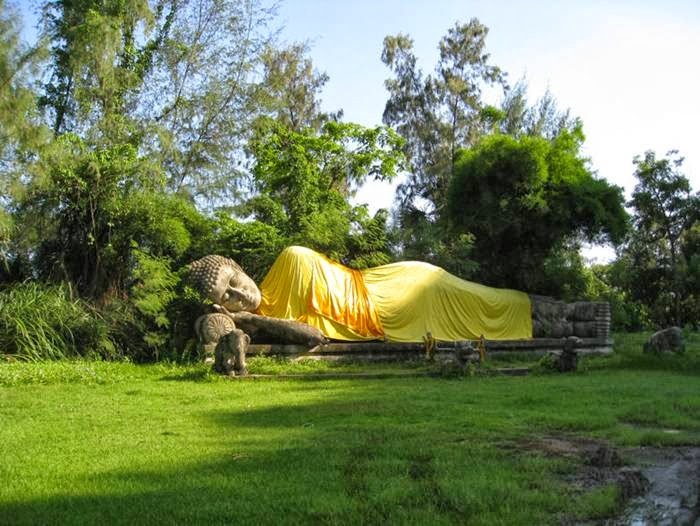 The grounds of Ancient Siam correspond roughly to the shape of the Kingdom, with each of the monuments lying at their correct places geographically. 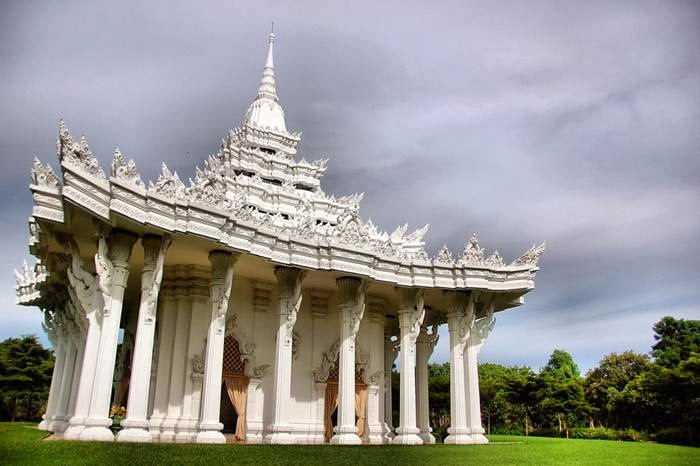 Some of the buildings are life-size replicas of existing or former sites, while others are scaled down. 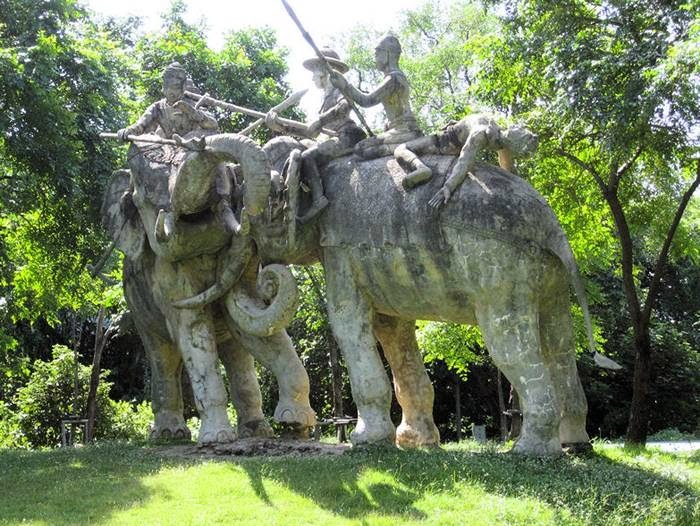 The replicas were constructed with the assistance of experts from the National Museum to ensure historical accuracy. 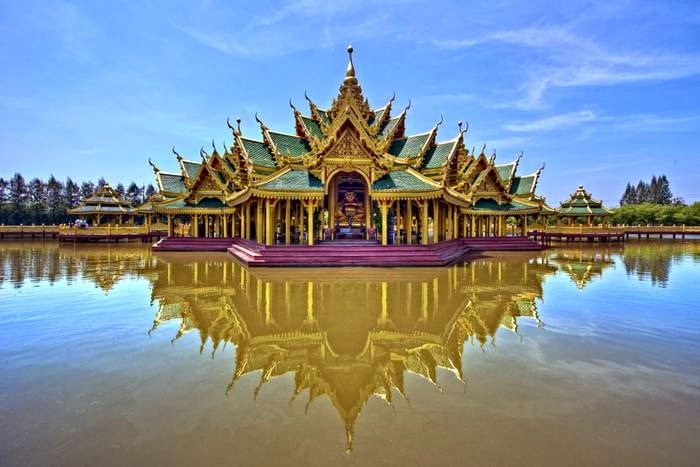 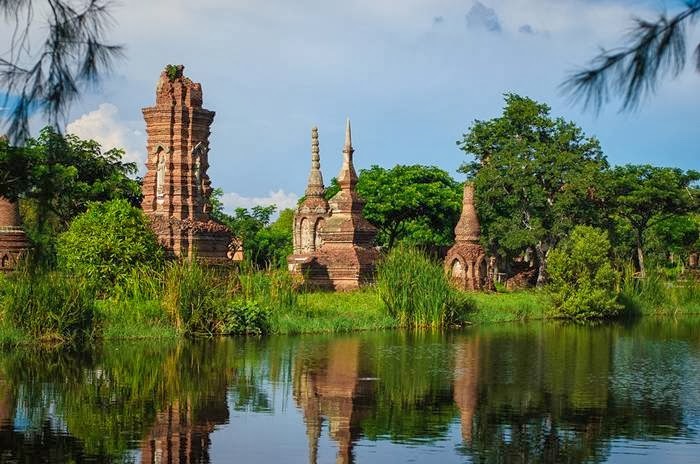 Outstanding works include the former Grand Palace of Ayutthaya (destroyed in the Burmese invasion of 1767), Phimai Sanctuary in Nakhon Ratchasima, and Wat Khao Phra Viharn on the Cambodian border.